Humans are constantly coming up with new and sometimes dangerous ways to take pictures of themselves. Unlike selfie sticks, Podo, a remote-controlled camera, offers a way for users to snap selfies that's simple and discreet. As Business Insider reports, the self-described "stick and shoot" camera uses a pad of tiny suction cups on its back to adhere to solid surfaces like walls, poles, or mirrors. It also includes a powerful magnet to provide extra backup. The pocket-sized device can be adjusted to capture you at your best angle, and a Bluetooth-connected app lets you remotely snap photos from up to 30 feet away. When you're ready to stick it to another spot, just gently peel it off and wipe the pad with some water. Podo first appeared on Kickstarter last year where it raised over $427,000, and the first round of products are just now being shipped out to donors. 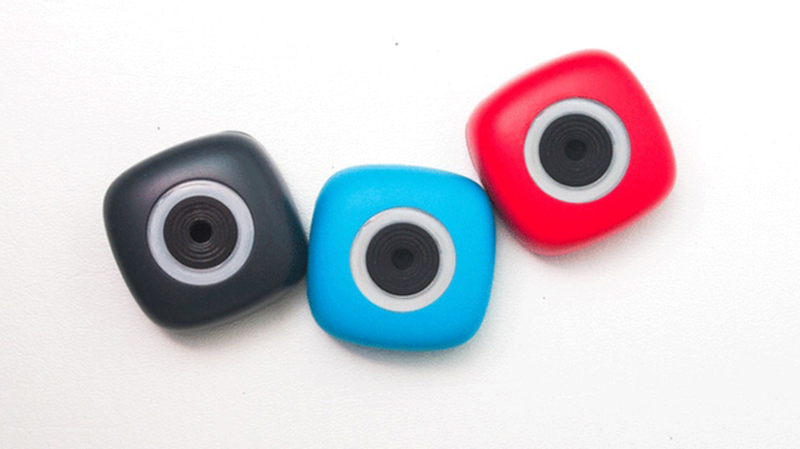 If you didn't get a chance to pledge to their campaign, you can order a camera now in blue, pink, black, or white directly from their website for $99.